This is perhaps the most abundant summer bird in the forests of North America. It is abundant in deciduous and mixed stands and semi-open forests with a deciduous understory, but generally avoids conifer dominated stands. Red eyes, the hallmark of this species, are fairly uncommon amongst songbirds, being more common in hawks, grebes and herons. The red eye can only be seen, however, when fairly close in good light. 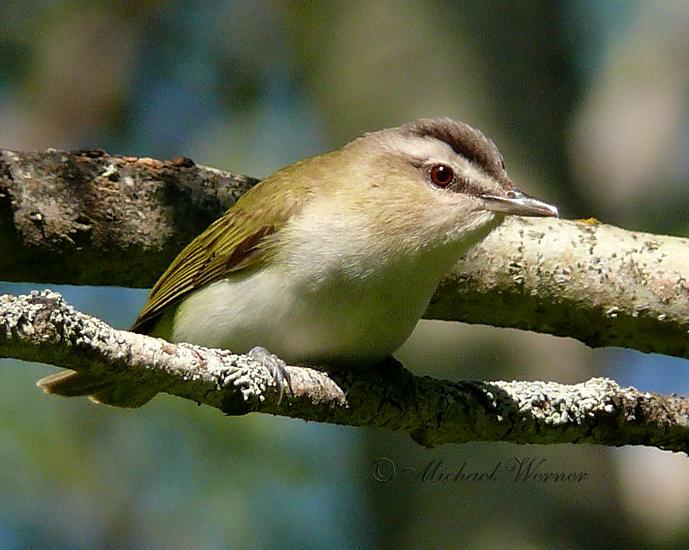 The Red-eyed Vireo is a tireless singer, singing throughout the day as it forages.